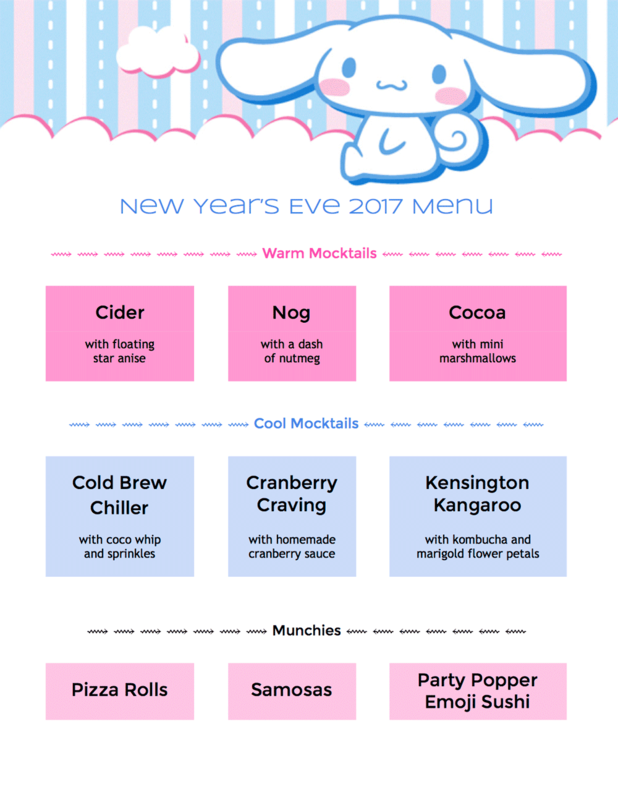 Since planning menus is probably my favorite part of planning events, I’m super excited to have finished my New Year’s Eve menu. I probably won’t add all of these drink recipes to my blog, but if you want to make the pizza rolls, that recipe can be found here, and the party popper emojis recipe is here. If there’s anything else you’d like the recipe for, leave me a comment, and I’ll get it to you.